It was not surprising that the Iraqi novelist Ahmad Saadawi made it onto this year’s shortlist for the coveted International Prize for Arabic Fiction. 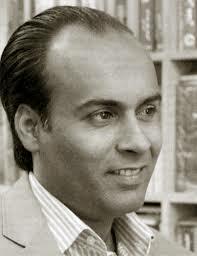 The young Iraqi novelist came to immediate fame with the publication of his third novel, Frankenstein in Baghdad (2013). The novel chillingly tells the story of a rag-and-bone man, Hadi Al-Attag, who haunts the streets of the civil war-torn Baghdad of 2005, searching for fresh human body parts to stitch together a human corpse. Once completed, the patchwork corpse embarks on a journey of revenge on behalf of those whose organs constitute its body. Also a poet and a screenwriter, Saadawi is the author of a volume of poetry, Anniversary of Bad Songs (2000), and two other novels, The Beautiful Country (2004) and Indeed He Dreams or Plays or Dies (2008). Al-Mustafa Najjar: “Frankenstein” is a common theme, originating from British novelist Mary Shelley’s Frankenstein. Is Frankenstein in Baghdad inspired by this theme? Ahmad Saadawi: There are only two references to Frankenstein in the novel: one made by a German journalist and another by Bahir Al-Saeedi. Apart from these two references, the people of the Baghdad in the novel call the strange monster the “what’s-its-name” or “the one who does not have a name,” and perhaps it does not concern them whether it looks like Frankenstein or not. In any case, Frankenstein in Baghdad deals with a different theme from that of Shelley’s Frankenstein. Frankenstein in this novel is a condensed symbol of Iraq’s current problems. The Frankenstein-esque atmosphere of horror was strongly prevalent in Iraq during the period covered by the novel. AS: The what’s-its-name has three interpretations, each of which is made by one of the three madmen. According to the first reading, since it is made up of parts taken from Iraqis of different races, sects and ethnicities, the what’s-its-name represents the complete Iraqi individual. In other words, the what’s-its-name is a rare example of the melting pot of identities. Iraq has suffered from this chronic problem ever since it was established early in the 20th century. The issue of Iraqi national identity violently exploded after the toppling of Saddam Hussein’s regime. Another way of reading it is that the monster represents the saviour, given its desire to take revenge on behalf of all victims. Bringing justice to the increasing number of victims in Iraq today means salvation for everyone. Here, we sense a reflection of the metaphysical vision of the concept of salvation being achieved at the hands of a single person. The novel implicitly questions this concept of salvation. Such a concept has often led to the formation of political dictatorships in Arab and Middle Eastern countries. Unfortunately, dictatorship still exists in Iraq and has not ended with the end of Saddam Hussein’s dictatorial regime. A third reading views the monster as the epitome of mass destruction. In other words, the what’s-its-name becomes a dramatic representation of destruction that has been growing with a sort of a snowball effect. MN: Frankenstein in Baghdad deals with the Iraqi tragedy through fantasy, which is different from mainstream Iraq war literature. For example, in your book there are characters we do not come across in real life, such as the “magician,” the “sophist,” and the “three madmen.” What is your take on this issue? AS: These characters, who appear in the tenth chapter, which is told by the what’s-its-name, are more symbolic than realistic, but they serve as examples of key and axial figures in Iraq. The sophist, for example, is the equivalent of Bahir Al-Saeedi and the magician is similar to the grand fortune-teller who works for the Iraqi government in the novel. The element of fantasy adds a touch of joy to the work, mitigating its cruelty. The use of fantasy renders the book more entertaining to readers and also offers a chance to deal with reality in an untraditional way. The element of fantasy adds a touch of joy to the work, mitigating its cruelty. MN: The third chapter is about the spirits of victims of suicide bombings searching for their dismembered corpses. Do you think such a portrayal distances the novel from Iraq’s reality? AS: This chapter has a structural function and tells how a wandering spirit enters the corpse of the what’s-its-name. It also reflects in general what goes on in the minds of those who cannot bury their loved ones whose bodies have been blown to pieces. They think the spirits of their loved ones keep looking for their corpses. On a deeper level, this chapter shows how, in times of chaos and violence, we all move like wandering spirits without finding a moment of security. MN: Is Iraq today in need of a Frankenstein-esque monster to take revenge on behalf of all victims? AS: Definitely not! In fact, the novel says the opposite. The what’s-its-name reflects our personal standards of justice, retribution, revenge and punishment. What is justice for one group is injustice for another. What is justice for one group is injustice for another. The Iraqi Frankenstein is made up of the body parts of victims who belong to different groups, each of which views the other as its enemy. Therefore, this Frankenstein will end up killing itself. In other words, the what’s-its-name is the fictional representation of the process of everyone killing everyone. This character is the visual representation of the larger crisis, rather than the solution. MN: One of the novel’s characters says: “All of the tragedies we are going through are due to fear.” To what extent does fear preoccupy the Iraqi people today? AS: I remember in the early days of the US occupation and the downfall of Saddam Hussein’s regime, the US army stayed in its military bases, not doing anything to ensure security in Baghdad. There was not a single policeman in the city. At the time, anyone in the predominantly Shi’ite neighborhoods could cause gunfire that continued until dawn just by shouting that the Sunni extremists were coming. No one was concerned about verifying these rumors, because deep fear made them a reality. On the other side, on one occasion shops were closed in one of the markets in Mosul, as rumors spread of Shi’ites coming, only for it to emerge later on that a group of Shi’ite Turkmen had been walking in a funeral procession. Fear still haunts the Iraqis in different forms. In fact, this led many Iraqis to pay homage to militants and extremists during the sectarian violence that erupted between 2006 and 2007. At the time, it was common for secular intellectuals to defend religious militias in the belief that they would protect them and their families. MN: Your novel is rife with binary oppositions such as the what’s-its-name’s corpse, which is made up of the body parts of both victims and criminals. Why did you use these binaries? AS: Regarding the what’s-its-name’s contradictory make-up, it represents the reality we live in. No one today can claim they are entirely a victim and that they have not contributed, in one way or another, to the perpetuation of the violent atmosphere and the process of victimization. I have written articles for the press about cases of people taking pleasure in the pain of victims, only because they are of a different sect. If there is a lesson to draw and a moral moment to stop at today as Iraqis, it is to acknowledge that we are not purely victims and that we have all helped to produce victims in one way or another. MN: What writing stages did Frankenstein in Baghdad go through? The writing process took me almost four years. I spent considerable time researching, conducting interviews, taking pictures and collecting information. AS: The writing process took me almost four years. I spent considerable time researching, conducting interviews, taking pictures and collecting information. An excerpt of the novel appeared on www.kikah.com in the summer of 2008. 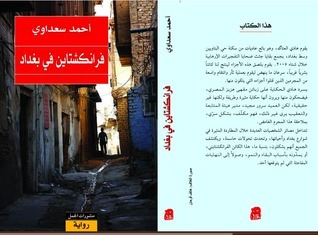 Two draft chapters also appeared in English and Arabic in Bloomsbury’s Beirut 39, a selection of the writings of the best Arab writers under the age of 40 in April 2011. MN: What does it mean to you that your third novel has made it onto the IPAF shortlist? Did you expect it? If it wins the [Arabic] Booker 2014, it will not only be an important event on a personal level, but also for the new Iraqi novel in general. AS: I expected the novel would have a good impact on readers. This was indeed the case: The first edition sold out even before the announcement of the IPAF shortlist. Despite my confidence in the work, it was difficult to make predictions, particularly given the huge number of entries this year. The novel reaching the shortlist is a significant event and has provided the book with more publicity. If it wins the [Arabic] Booker [i.e., the IPAF] 2014, it will not only be an important event on a personal level, but also for the new Iraqi novel in general. Al-Mustafa Najjar is a Syrian journalist/translator at Asharq Al-Awsat. He holds a master’s degree in Post-1900 Literatures, Theories and Cultures from the the University of Manchester. He is based in London. This interview originally appeared in al-Sharq al-Awsat.